Greetings dear beautiful Steemians and Actifitters! Happy Wednesday and welcome to my wonderful fitness report card. I hope you had a nice day with your workout today. As for me, I was in the mall the first half of the day today. I ran and jogged for 45 minutes and walked the rest of the day. I collected my automaticwin and also had my breakfast too and was also reading and commenting on your posts. I went home at around noon. At home, I did house chores doing two loads of laundry and vacuuming the living room. Then I went to pick up a few things from the grocery store. And come 5:30 I went to the park and walked for an hour and 15 minutes and I came home just before sunset. Thanks for reaching my post and I’ll see you all again tomorrow. Sending you lots of positive flowing energy, love and blessings too. Pictures I'm sharing with you. What I had this morning. At the nature trail park. Going home from the park. Congratulations @roger5120! 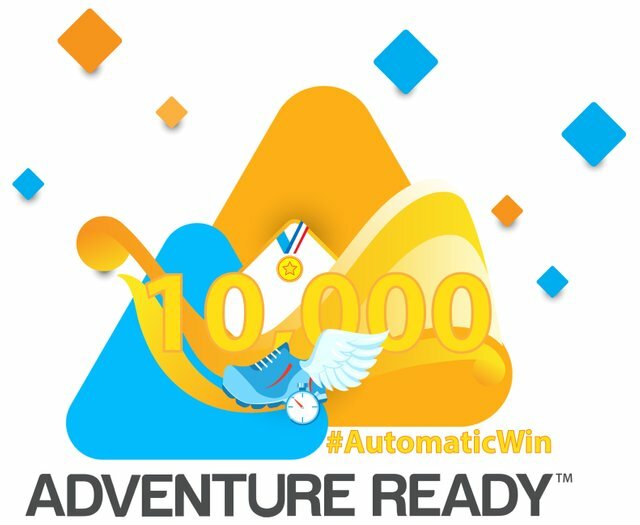 You have achieved an #AutomaticWin, a 100% up-vote, and a re-steem from @AdventureReady! 19,456 steps before 10am and 44,875 steps by end of day is SOME SOLID STEP ACTION! You are doing faboulous work and inspiring many actifitters to do even better. Appreciate all your efforts. Thanks for using Actifit to stay fit. You have accordingly been rewarded 80.375 AFIT tokens for your effort in reaching 44875 activity, as well as your user rank and report quality! You also received an 2.31% upvote via @actifit account.